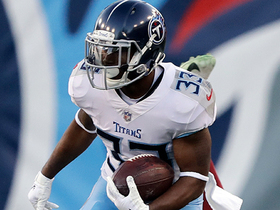 Offensive coordinator Matt LaFleur said the backfield workload split will probably continue to skew more toward Lewis rather than Derrick Henry when Tennessee returns from its Week 8 bye, Jim Wyatt of the Titans' official site reports. Lewis rushed for 91 yards on 13 carries in Sunday's 20-19 loss to the Chargers. He also added six receptions for 64 yards. Lewis rushed for nine yards on five carries in Sunday's 21-0 loss to the Ravens. He also added two receptions for five yards. Analysis: Lewis was out-touched by Derrick Henry despite a game script that called for passing. 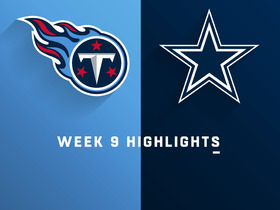 However, the entire Titans' offense failed to get on track, resulting in Lewis' worst yardage output of the campaign. After recording a season-best nine receptions in Week 4 against Philadelphia, he has just five receptions across his last two games. Lewis' involvement in the passing game had given him a reliable floor in PPR leagues early on, though even that has been called into question in recent weeks. Lewis rushed for 34 yards on 12 carries and added three catches for 14 yards during Sunday's 13-12 loss to the Bills. Lewis has made an impact in the Titans passing game, Jim Wyatt of the team's official site reports. Analysis: Lewis hasn't made much of an impact on the ground, racking up only 143 yards through four games. However, he has 18 receptions on 21 targets, putting him on pace for a 72-catch season. That's enough to keep him relevant on a weekly basis in point-per-reception leagues, even if he has yet to break off many big gains. Lewis was held for no yardage in four carries, but picked up 66 yards on nine catches during Sunday's 26-23 win over the Eagles. Lewis rushed nine times for 26 yards and caught all three of his targets for 14 more in Sunday's 9-6 win over Jacksonville. 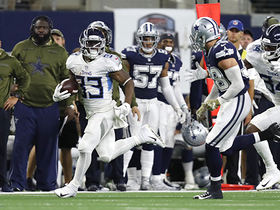 Analysis: Lewis has come back down to earth after a sizzling Titans debut, combining for just 68 rushing yards on 23 carries over the past two weeks. Derrick Henry has amassed 113 yards on 36 carries over that same span, suggesting Lewis is the inferior option on the ground. Still, Lewis is the significantly better receiving back, and that ability should allow him to play a sizable role against the Eagles next week. Lewis rushed for 42 yards on 14 carries and added a one-yard catch during Sunday's 20-17 win over the Texans. 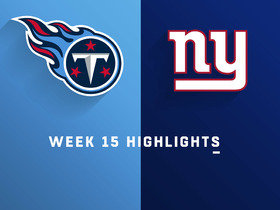 Analysis: The Titans went run-heavy after taking an early two-score lead. That, and Houston's awareness of that strategy, might explain why the Titans struggled to get much per carry. Lewis should be given the benefit of the doubt after picking up 110 total yards in a more balanced attack in Week 1. What might be more interesting is whether Lewis can take a bigger share of the carries from Derrick Henry in the weeks ahead, with the latter averaging just 2.9 yards per carry through two weeks. Lewis rushed 16 times for 75 yards and a touchdown while catching five of eight targets for another 35 yards in Sunday's season-opening, 27-20 loss to the Dolphins. Analysis: Lewis significantly outplayed Derrick Henry, who managed just 26 yards on 10 carries and one catch for five yards. Most notably, it was Lewis who got the call from four yards out on Tennessee's lone offensive touchdown. Starting quarterback Marcus Mariota left this one with an elbow injury, and the Titans will likely lean heavily on the running game should he miss extended time. Lewis rushed three times for 11 yards and secured all three of his targets for another 20 yards during Saturday's preseason loss to the Steelers. Analysis: Derrick Henry predictably got the first crack at toting the rock, but Lewis finished the day with both more touches and total yards. While Henry's early down role lends itself to higher touchdown potential, all indications make it seem as if Lewis will nonetheless hold down a significant role within this backfield in 2018 -- especially on passing downs given Lewis' proficiency as a receiver, not to mention Henry's struggles in pass protection. 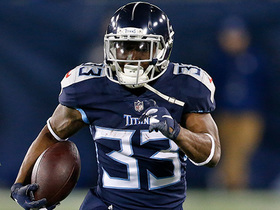 Lewis rushed once for one yard and secured both of his targets for 26 yards in the Titans' 30-14 preseason loss to the Buccaneers on Saturday. He also fumbled once, but it was recovered by the Titans. 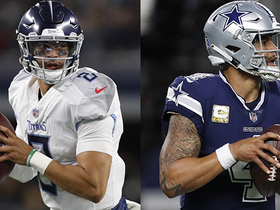 Lewis' four-year, $19.8 million contract with the Titans contains $5.75 million fully guaranteed and another $2.5 million guaranteed for injury only, Cameron Wolfe of ESPN.com reports. 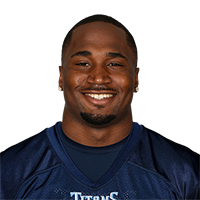 Lewis intends to sign a four-year deal with the Titans, Adam Schefter of ESPN.com reports. 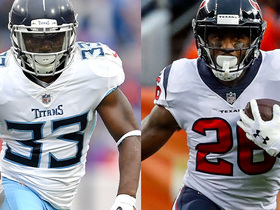 Analysis: The Titans land their second former-Patriot of the day, just a few hours after it was announced that Malcolm Butler was heading to Tennessee. 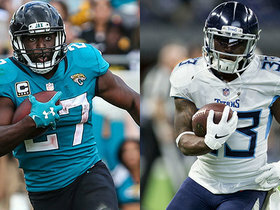 Lewis will serve as half of a one-two punch in the backfield alongside Derrick Henry, a very similar role to that of DeMarco Murray over the past two seasons. Last season, Lewis carried a team-high 180 times for 896 yards and six touchdowns and caught 32 passes for 216 yards and another three scores in New England. Lewis appears unlikely to re-sign with the Patriots this offseason, Michael Giardi of NBC Sports Boston reports. Lewis carried nine times for 39 yards in Sunday's 41-33 loss to the Eagles in Super Bowl LII. Lewis rushed nine times for 34 yards and brought in seven of eight targets for 32 yards in Sunday's 24-20 AFC championship game win over the Jaguars. He also lost a fumble and gained 34 yards on two kickoff returns. Lewis rushed 15 times for 62 yards and caught nine of 10 targets for 79 more in Saturday's 35-14 divisional-round win over the Titans. Analysis: While James White and Brandon Bolden vultured a combined three touchdowns in this one, Lewis was clearly the team's preferred back in most situations. His ability to contribute as both a runner and a pass catcher makes Lewis the New England running back to own heading into the AFC championship game, and his value relative to other teams' options is even greater in PPR formats. Lewis rushed for 93 yards and a touchdown on 26 carries and added 40 yards and a touchdown on six receptions during Sunday's 26-6 win over the Jets. Analysis: Lewis helped put New England up by three scores in the closing moments of the first half when he took a dump-off into the flat for a five-yard score, his second touchdown of the game. Lewis started the season off sluggish with just one game with at least 80 total yards in his first nine games, but he's heating up at the right time. He's topped the 80-yard mark six times in the seven games since and has five touchdowns in his last three outings. Look for him to keep that going in the playoffs. Lewis could handle a larger share of the backfield snaps than usual Sunday against the Jets with Rex Burkhead (knee) and Mike Gillislee (knee) ruled out and James White (ankle) not expected to play, Adam Schefter of ESPN reports. Lewis carried 24 times for 129 yards and a TD and caught all five of his targets for 24 yards and another score in Sunday's 37-16 win over the Bills. Analysis: With the Patriots minus Rex Burkhead (knee) and James White (ankle), Lewis saw added opportunities Sunday, while Mike Gillislee returned to the team's backfield mix, carrying six times for 28 yards and a TD and catching one pass for 15 yards. Assuming the Patriots have something to play for in Week 17, which seems likely, Lewis will be in line to head the team's ground attack against the Jets next Sunday. Lewis rushed 13 times for 67 yards and a touchdown during Sunday's 27-24 victory over the Steelers. He also caught one of two targets for 13 yards. Lewis rushed five times for 17 yards and caught all five of his targets for 50 yards in Monday night's 27-20 loss to the Dolphins. Lewis (illness) is listed as active for Monday night's game against the Dolphins. Analysis: Look for Lewis - who has logged 15 carries in each of his last two outings -- to serve as New England's lead back Monday against a Miami defense that's allowing an average of 116.5 rushing yards per game. 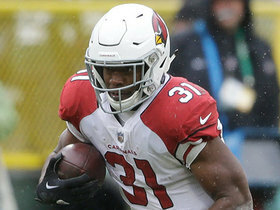 While Lewis is not that involved in the team's passing attack these days and cedes touches to fellow backs Rex Burkhead and James White, the Patriots have been putting Lewis in a position to succeed of late and he's responded by turning 40 carries over his last three contests into 264 yards. Lewis (illness) is good to go for Monday's game in Miami, Jeff Howe of the Boston Herald reports. Lewis (illness) is listed as questionable for Monday's game against the Dolphins, Doug Kyed of NESN.com reports. Analysis: Lewis was a limited participant in practice Saturday, which reinforces the expectation that he will be available for Monday night's game. The 27-year-old has 204 yards on 30 carries over the last two weeks and will hope to continue that trend against the Dolphins, assuming he avoids a setback. Despite missing Friday's practice with an illness, Lewis will play Monday against the Dolphins, Doug Kyed of NESN.com reports. Analysis: Any lingering concern about Lewis' availability could be resolved if he practices Saturday, but even if that doesn't materialize, it sounds like the running back isn't in major danger of missing the Week 14 matchup. Though Lewis' pass-catching responsibilities have tailed off this season, he's picked up his efficiency in the running game, averaging a healthy 5.3 yards per carry across 112 attempts. Lewis was held out of Friday's practice due to an illness. Analysis: Lewis' mid-week addition to the Patriots' injury report surely isn't a welcome sign for fantasy owners, but if the running back is able to return to practice in at least a limited capacity Friday, he should be in the clear for Monday's matchup with the Dolphins. The 27-year-old has established himself as the lead runner in the Patriots' offensive attack since Week 6, logging double-digit carries in each of the team's last seven games and recording three touchdowns along the way. Lewis rushed 15 times for 92 yards in Sunday's 23-3 win over the Bills. Analysis: Nearly half of Lewis' rushing total came on one play, a 44-yard scamper that served as his longest run of the season. Lewis has now logged double-digit carries in seven straight games, but he continues to consistently miss out on red-zone rushing opportunities to Rex Burkhead, somewhat capping his fantasy ceiling. The 27-year-old will look to continue producing against a vulnerable Dolphins defense in a Week 14 road showdown. Lewis rushed 15 times for 112 yards and brought in his only target for one yard in Sunday's 35-17 win over the Dolphins. He also returned two kickoffs for 35 yards. Lewis ran 10 times for 60 yards and caught all four of his targets for 28 yards and a touchdown in New England's 33-8 defeat of the Raiders on Sunday. Analysis: It was his fifth consecutive game with 10 or more carries, and his four targets marked a season high. The 27-year-old seems to have locked down a role as the Patriots' primary running back, but even so, the Patriots are known for involving all of their weapons and changing up their focal point seemingly every week, making it hard to trust him for consistent production. However, Lewis has a slew of advantageous matchups ahead, starting with Miami at home Week 12. Lewis rushed 14 times for 55 yards and one touchdown and returned one kickoff for another score during Sunday's 41-16 victory over the Broncos.